This one's a bit morbid, but tempered with whimsy. 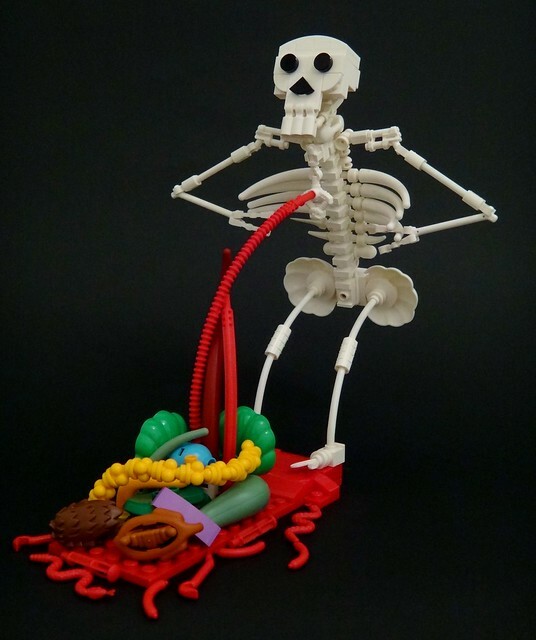 Builder simplybrickingit built this MOC that rides a fine line between anatomical and humor. But it's the part use that really caught my attention. So many creative decisions in this, and so much questionable taste. Like my old friend James Cummins used to say, "inside each one of us is a skeleton dying to get out"